IBNA’s Observation/Why did Air Albania vanish from the skies? It was September last year when Edi Rama, full of pomposity, declared that regular flights would start the following day (14.09). “Tomorrow, Air Albania will start its first flights. There will be a month of test flights and then there will be flights to Rome, Milan, Bologna, London and Istanbul”, Mr. Rama declared at that time, explaining that daily flights would start on 15 October to destinations in Italy, UK and Turkey. He said that in a few months time there would also be flights towards the US. However, none of this happened. We didn’t even see a 50% reduction of air tickets, promised in September 2018 by Belinda Balluku who at that time was head of ANTA. Air Albania is non-existent. The last time it posted on Facebook was at the end of September. The website itself is for sale! The government doesn’t comment. The Prime Minister doesn’t say anything and neither does Belinda Balluku, who is now a minister. However, in Turkey people are talking. Turkish media says that Erdogan took his revenge on Rama’s government, withdrawing from both Air Albania and the Vlora Airport. But Turkish Airlines, as Air Albania’s shareholder, did not start the flights that the Prime Minister had promised. What’s more, the supposedly Air Albania aircrafts which Rama displayed on social networks, have gone back to Turkey and Turkish Airlines. This is also confirmed by CH Aviation, a Swiss portal specialized in the development of the Aviation industry. Today, CH Aviation wrote an article entitled “Plans for Air Albania in limbo as aircraft returns to Turkey”. CH Aviation says that “Lasgushi” aircraft, which was said to belong to Air Albania, has gone back to Turkish Airlines. Even when “Lasgushi” conducted its first flight for Air Albania, an agency called Airline Geeks referred to it as a “mysterious airline”. Meanwhile, Murat Herdem of the Turkish portal “Airport Haber” had already confirmed that the collaboration between Turkish Airlines and Air Albania would be the next bluff. He said that this would be identical to the collaboration between Turkish Airlines and Air Bosnia, when the company went through a bitter experience after losing millions of euros. The idea for the creation of the first national airline was announced for the first time in July 2017. This was a joint initiative launched by PM Edi Rama and Turkish president Erdogan. June 2018 saw the creation of Air Albania with three shareholders: Turkish Airlines, MDN Investment and Albcontrol. Officially, the Albanian government will never admit that Air Albania failed in its mission. The government cannot even say if these flights will ever start in the future. 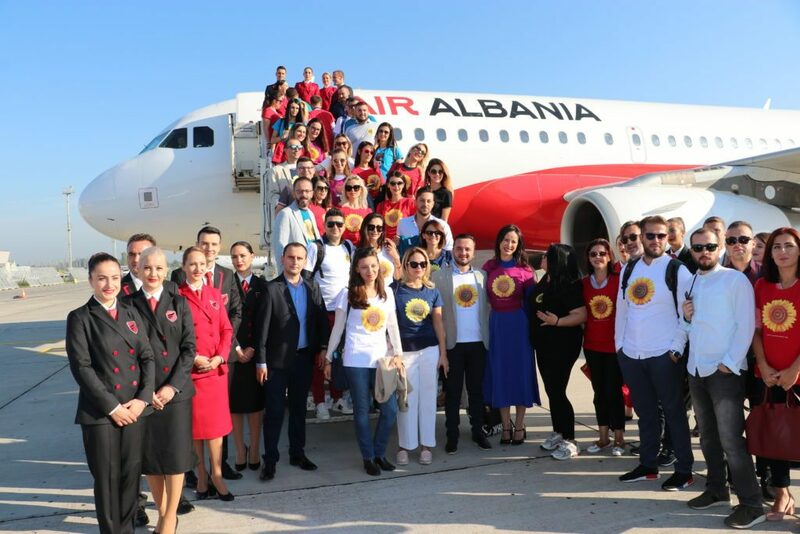 Meanwhile, Albanians have been looking forward to the creation of an Albanian airline, which would reduce the high ticket prices that passengers have to pay to fly from Rinas airport.